TUI registers 21% more passengers out of Antwerp during the Easter Holidays, compared to last year. The top three destinations are Malaga (+10%), Alicante and Florence. TUI also announced three new destinations out of Antwerp : Tangers (Morocco) starts April 1st, Lublin (Poland) – April 5th and Enfidha (Tunisia) – April 6th. Icelandair will fly between Keflavik and Brussels up to 10 times every week during this summer. There will be a flight every day and two flights per day on Tuesday, Friday and Saturday. Until now there were only five services every week. Iceland rapidly became a very popular holiday destination and Icelandair also offers very efficient connections to different destination in the U.S.A. and Canada. It is even possible to plan a stop-over at Keflavik between these flights. Most of these flights will be flown by Boeing 757’s. The Austrian capital Vienna will be connected with Brussels South Charleroi Airport as from October 27th, 2019 by Laudamotion. Flights will be operated 6 times per week by Airbus A320. We just received information that the Zoute Air Trophy will not take place in 2019. Next edition will be in 2020, but exact days will be communicated at a later date. This morning the last but one VLM Fokker 50 left Antwerp for its new base at Malmö where it will join the Amaploa fleet and fly scheduled services on behalf of Braathens. The last airworthy Fokker, OO-VLS, will leave Antwerp on Tuesday 4/12. The remaining airframe of OO-VLO will be broken up and the cabin section will be used by the Federal police to train their "drug dogs". According to a recent article in "Het laatste Nieuws" there will be a new Antwerp-London City service in th ebeginning of 2019. At present it has not been disclosed which airline will pick-up this 25 year old service after the VLM debacle. Marcel Buelens, Antwerp's CEO, hopes to be able to announce that mid-December. This year Belgocontrol celebrates its twentieth anniversary. In the course of those two decades, and especially in the last few years, the national air navigation service provider underwent some major changes. We were just informed that during the night our ex vice-chairman and Aeronews editor Georges Van Bellghem has died at the age of 81. Georges has been in a home for the last three years and was suffering from bad health. Nevertheless this news comes as a shock and earlier than we expected. With the recent VLM setback fresh in our minds, there is now some positive news for Antwerp Airport. Antwerp based Flying Group is investing 1,5 million euro’s in the construction of a new building. Flying Groups is operating 45 aircraft, of which 15 are based at Antwerp. Bernard Van Milders, the company’s CEO is a firm believer in the future of Antwerp airport, which shoiws in the recent developments. The spotterplatform 25L/07R at Brussels airport will be closed to the public on Sunday 23/09 between 12:00 and 18:00 due to a manifestation. The platform 01/19 remains open. During my holidays VLM decided to stop all activities and sell out. Three Fokkers had already left Antwerp for their new home in Sweden. The three remaining aircraft are still at Antwerp airport but have been confiscated pending liquidation of the company. The disappearance of VLM is not a serious blow for Antwerp airport as most of the passengers are handled by TUI. It does make a lot of difference in number of flights, as the Fokkers flew on and off all day long. This makes a difference in noise and traffic over the neighbouring areas, but instead of being happy about it, the anti-airport lobby is now suggesting to close down the airport completely. According to them the bankruptcy of VLM proves that the airport has no future; thus forgoing the fact that there are still the TUI and Flybe services and the business flights. All arguments are good as long as they serve their cause. VLM has announced that they will cease all regular services except the London City and Zurich connections. In future VLM will be doing charters and ACMI flights. On a stand trading used aircraft parts at AirVenture Oshkosh 2018 former Belgian Air Force Pembroke RM01 is offered for sale. It still carries the U.S. registration N53973. The present owner brought the fuselage to Oshkosh, Wisconsin. He recovered the aircraft from Bradley Airport, Connecticut. The dismantled aircraft, reported complete, is offered for 20.000 $. The same man recently also bought the former RM9, a Pembroke stored for several years at Anoka Airport near Minneapolis and painted as N510RP. Johan Maertens (46) has been appointed as the new CEO for VLM, replacing COO Carl Runge. Previously Mr. Maertens has been working for Brussels Airlines and ECAir and other companies. After another setback last month, Air Belgium now finally has permission to fly over Russian territory. On June 3rd, the company will launch its first flight to Hong Kong. We just received news that the ex-airport commander Jozef 'Jos' Ghoos (3/5/1929-12/5/2018) died on Saturday last. Jos was commander at Antwerp Airport between 1966 and 1991. He was a great supporter of our society and it was a pleasure to have worked with him on several occasions and exhibitions. Jos, we wish you blue skies. The Aviation Press Club has nominated Jean-Jacques Cloquet - CEO Brussels South Charleroi Airport as Man of the Year (MOTY). After about 55 years another Belgian registered Spitfire is flying !! On Sunday, 06 May 2018 pilot/owner Kris Van Den Bergh made the first flight of his Spitfire Mk XVI – OO-XVI – from Brasschaat airfield. He made about five circuits over the airfield closely monitored by F.A.S.T.-boss Frederic Vormezeele from the back-seat of the T.28 Trojan flown by Peter ‘Celle’ Celis. Kris made a smooth landing on the rather small runway closing a very important moment for Belgian civil aviation. The last flight of a Belgian registered Spitfire took place more than 55 years ago when COGEA retired their civil registered Spitfires that operated as target-tugs from Ostend Airport. TUI Fly has started its new summer schedule and opened the new destination : Firenze. This service will be flown twice weekly. As is customary the aircraft got a greeting from the airport's firebrigade. Brussels Airport is ready to receive a record number of passengers during the Easter holidays. In two weeks’ time, the airport will receive more than 1.3 million passengers, 5% more than last year. To help passengers get into the holiday mood, Brussels Airport will be handing out Easter eggs and opens a spring terrace in front of the departure hall as well as a playground in Connector. Cathay Pacific today operated its first ever flight from Brussels Airport to Hong Kong. The only non-stop service connecting the Belgian capital with the airline’s dynamic home city, Flight CX338 departed Brussels on time at 13.10 with a full complement of passengers. Prior to the departure of Flight CX338, a gate ceremony was organised in celebration of the landmark occasion. A pintjob of 14 days, resulted in Brussels Airlines' 5 special design : the Aerosmurf. The design by Marta Mascellani was chosen by the jury out of 1415 proposals. The aircraft, Airbus A.320 OO-SND is back in operational service as from 25/03/2018. Sanicole Airshow receives Ann Vanderhagen Award. During the European Airshow Convention at Antwerpen last week, the organisors of the Sanicole Airshow received the Ann Verhagen Award for the innovative caracter of their annual airshow at Leopoldsburg airfield. Last year the organisation celebrated its 40th anniversary. The award was attributed because of the annual Sunset Airshow, a unique event in Europe and very much appreciated by the public as well as the participating pilots. SHS Aviation, the holding above VLM Airlines is selling of the activities at Brussels Airport, also known as VLM Airlines Brussels. Nearly a year ago SHS Aviation bought the remains of Thomas Cook Arlines (personnel and 2 Airbus A320) and was planning to fly charters or lease the aircraft. It is now announced that these activities have been sold to a Dutch investor. It is also stated that nothing will change for the personnel, but it is not yet clear whether the name VLM Airlines Brussels will be used in the new setup. This will have no effect on the VLM Airlines activities at Antwerp airport and in Slovenia. In January, Brussels Airport received 1.6 million passengers, an all-time record for the month of January. Strong growth was recorded particularly in the transfer segment, which demonstrates the importance of Brussels Airport’s hub function within Star Alliance. Cargo transport was 2.7% up on January 2017. The decrease in the full-freighter segment is compensated by an increase in trucked cargo, belly cargo, and integrator cargo. Final curtain for Brussels Airlines? The future of Brussels Airlines is threatened as next Monday Lufthansa will most probably decide to replace BA's CEO Bernard Gustin. Also in the pipeline is the fact they want to merge Brussels Airlines with their low-cost company Eurowings. This would mean that the Brussels Airlines brand would disappear and that the future of the Brussels Airlines staff becomes most uncertain, resulting most porbably in the loss of a lot of jobs. Years after the Sabena debacle by Swiss, our country now again faces a similar situation now created by the Germans. In French they say : "l'histoire se répète". Have our politicians learned nothing? Today TUIFly saw the arrival of their newest aircraft and first Boeing B737MAX. By the end of 2018 the TUI fleet will count 9 aircraft of this type. The new model has a reduction of 14% of CO2 and 40% of noice reduction. We just got the news that former owner and CEO of VLM airlines, Arthur White, has died. The funeral was today at his hometown Namur. TUI fly, Belgium's second largest airline, will expand its number of destinations and frequencies in 2018. Five brandnew aircraft will also be added to the fleet, making a total of 33 aircraft. In order to be able to have a succesful expansion, TUI fly is now looking for extra staff: 160 cabin crew, 64 pilots and 23 engineers. The Belgian Federal Police will add an additional MDDH MD.900 NOTAR helicopter to the fleet. This airframe will be their seventh heli . this aircraft comes from Noordzee Helikopters Vlaanderen (NHV) where it flies as OO-NHI. It operated for some time on a medevac contract in France. After conversion to its new law enforcement role it will normally become G-17. Last week the first Lockheed C.130H Hercules – CH08 – was retired from active service. The aircraft was ferried from Melsbroek to Beauvechain AFB. It is not clear what will happen with this airframe. The Air Force still awaits the delivery of the first Airbus A.400 that will replace the aging C.130H transport aircraft. We recently heard a rumour that the first of these aircraft will only arrive somewhere in 2020 ! Just before Christmas the airport welcomed the 24 millionthpassenger of 2017. Never before have so many passengers flown to and from Brussels Airport. Moreover, Brussels Airport made every effort to create a suitably festive atmosphere throughout the airport. Other than the traditional Christmas trees, lights and other Christmas decorations, the gigantic bauble in the outdoor area in front of the departure hall is a real eye-catcher. This bauble, with a diameter of 6 metres, is actually a big globe which refers to the many destinations passengers can travel to from Brussels Airport. Before entering the departure hall, passengers can stop for a typical Belgian beers at the Christmas Chalet on the temporary Winter Terrace. In the baggage reclaim hall, arriving passengers can make their wait for their luggage more pleasant by playing their favourite Christmas carols through the loudspeakers of a jukebox. Passengers can also listen to Christmas piano concerts in the Connector building, which are sometimes accompanied by a choir. Sonaca 200 to be assembled at Temploux aerodrome ! Yesterday, Sonaca Aircraft and Aerodrome de Namur signed an agreement that will result in the final assembly of the Sonaca 200 light aircraft at this airport. As a result of this contract a new hangar will appear and a hard runway will be constructed at this airport. This new runway will be a little bit shorter than the actual runway and will reduce the noise because aircraft will be able to climb faster after take-off. A parallel grass runway will remain in service. If everything goes as planned the construction of the new facility will start in May 2018. Sonaca plans to deliver about 20 aircraft during 2018. These airframes will be assembled at their Charleroi facility. Today they have more than 30 firm orders, even before obtaining final certification. Today, 20 children from Antwerp received a free flight to and visit of Legoland in the UK. VLM Arirlines offered the flight to Farnborough on one of their Fokker 50's and Legoland gave them free entry. This was all done with the cooperation of Antwerp Airport management and Antwerp Fly Shop. Last month over 1.8 million passengers travelled via Brussels Airport. This is an increase of 5.1% compared to the same month last year. This is mainly due to the continuing growth of passengers with Brussels Airlines, but also due to the new services by Emirates, Hainan and Delta. Cargo transport in November recorded a 9.4% growth on November 2016. Estonian carrier Nordica will start a service from Groningen/Eelde Airport in Friesland (Holland) to Brussels using Bombardier CRJ aircraft. This service will start on 26 March 2018 and will be flown daily, six days per week. Brussels Airlines is expanding its destinations in Croatia: as from May 12th, the cities of Zadar and Split will also be serviced. Wizz Air will start a new service from June 2018 betwene Charleroi and Sibiu in Romania.Sibiu is a city in Transylvania, a popular destination for tourists. This service will be offered twice weekly. ‘De Vrienden van het Lucht- en ruimtevaartmuseum vzw’ runs an appeal to reopen the interior of the Fairchild C.119 Flying Boxcar for visitors. The aircraft, preserved in the ‘Hall de l’Air’ of what is now called the ‘War Heritage Institute (WHI)’ is actually closed for the public for security and preservation reasons. The project, put forward with support of the WHI, consists of the creation of a corridor for visitors and a defined area with photographic exhibits and object recalling operations undertaken by the C.119 Flying Boxcar. The budget for this project is 27.600 euros. The group launched an appeal for donations with the objective to open the aircraft at the end of 2018. As from January 22nd, 2018, VLM Will fly twice daily between Antwerp and Zurich on weekdays. Tickets are available from now on, starting at 99eur (single fare). RAAC becomes 90 years young !! The Royal Antwerp Aviation club celebrates its 90th birthday this year. The RAAC modeling section exists for 65 years. Today, Sunday 19/11/17, the RAAC members were invited by the Antwerp City counsel in the Felixpakhuis to commemorate this very special birthday. On 16th November 2017 Ultralight Concept Gmbh received confirmation that their ultralight Stampe SV.4 aircraft is certified by the Belgian C.A.A. This means that this aircraft is now allowed to fly under the Belgian Ultralight-rules with Belgian marks !! Licences for the construction of the spotters places at Steenokkerzeel and Zaventem (Vliegbos) have been granted. Construction will start as soon as possible and should/could be finished by April 2018. During October Brussels Airlines saw an increase of 15,1% of passengers. In total 865.673 people flew on a Brussels Airlines flight. This also means an increase of 3,9% on passenger capacity per flight. Ultralight Stampe SV.4-RS certified in France ! Ultralight Concept, the Belgian company that developed the ultralight Stampe SV.4-RS received a type Certificate for their new ultralight from de French DGAC. This is a major step forward for the company and their aircraft. Certification in Belgium and Germany is expected in the very near future ! Last Friday, 27/10/2017 Thomas Cook Airlines Belgium ceased all operations as announced several months ago. Most flights will be flown by Brussels Airlines that will also add some Airbus A.320’s to its fleet. Two other Airbus A.320 aircraft are acquired by SHS Aviation, the company controlling VLM Airlines. Today at 11:55 the new Antwerp-London service by VLM was inaugurated. Fokker 50 OO-VLI was got a fitting tribute by the airport's firebrigade when it left for its first trip to London City. VLM is again operating the service under its own name, after 8 years of abscence. Meanwhile we hear that the company has bought two of the ex-Thomas Cook Airbuses and is planning services to Chinese destinations out of Brussels airport. In the new 2018 Summer Schedule, TUI announces fligths from Antwerp to Florence starting 18/6/2018. The Brussels hub of the company is adding two destination : Aruba and Curaçao. Starting April 20th 2018, Brussels Airlines will offer weekly flight to Kalamata in Greece. Brussels Airlines keeps on growing. During the winterseason 10 new destinations will be added to the network and capacity on certain routes will grow due to the use of larger airplanes. After a break of more than 9 years, VLM Ailrines (now owned by SHS Antwerp Aviation) has announced that it will re-open the Antwerp-London City service. Earlier CityJet, which now operates the route, announced that as per 27/10 they will stop the service. VLM will start operating on 30/10. The company will use its Slovenian AOC, as the Belgian one is still not given by the Belgian CAA. Tickets can now be booked. A scheduled service between Antwerp and Zurich is also in the pipeline. André Muller, pilot with B.F.S. declared : ‘The OO-NEW seems to be the exact copy of the OO-SON. But actually, numerous structural modifications make it different from its twin. The field of vision is simply awesome. Nothing to do with the limited vision of some high-wing aircraft. A major asset in terms of safety. On ground, taxiing is east. During flight, the aircraft is pleasant to fly, with smooth controls, reactive and direct responsive in all axes. The Aeroclub Sanciole organises their 40th international Airshow. The evening airshow will take place on Friday 8th September. The main event on Sunday 10th September. This year several military demo teams will be flying over Sanicole. Top of the bill will be the Saudi Hawks demoteam. Also the Frecci Tricolori will be present as well as aircraft from the Finnish and the Greek Air Force. The airfield of Namur/Temploux which was created by the American Army in 1944 and has been a civil airfield ever since 1947, was privatised in 1983 when bought by the Bertrand family. They recently sold the company that exploits the airfield to Olivier de Spoelbergh (who also owns part of the INBEV group). During the first six months of 2017, Charleroi/Brussels South Airport handled almost 3.6 milj. passengers. That is a 3% rise compared to last year when the airport was very busy after the closure of Brussels Airport due to the terrorist attack. The number of passengers traveling via Brussels South grew thanks to two new airlines (Air Corsica and Belavia) and an additional TUIFly aircraft based at the airport. During the first six months of 2017 Brussels Airport handled 11.5 milj. passengers. This is a new record ! This result is 6,3 % higher than during the first part of 2015. Last year’s numbers are not used due to the terrorist attacks from March 2016. The number of transfert passengers rose with 18,8 %. During June 2017 2,22 milj. passengers used Brussels airport. This also is a new record ! As of 29 October, the airline Emirates is set to run a second daily flight between Brussels Airport and Dubai International Airport. Flights to Dubai are enjoying rising success, which prompted the airline to increase its capacity in Brussels. The first Emirates flight from Brussels to Dubai will be departing at 3.05 pm, with the second flight scheduled for take-off at 8.15 pm. Foreign permit aircraft allowed to operate in Belgium. After issuing a full CofA to the Belgian registered Stampe SV.4’s in November last year, the Belgian C.A.A. took another important decision which gives more freedom to the Belgian General Aviation scene. As from 1st July foreign registered amateur built aircraft as well as certain historic aircraft (less than 5.700 kg) registered in a ECAC-member state (ECAC = European Civil Aviation Conference) no longer require a permit to fly in Belgian airspace for 30 days per year. This decision recognizes the quality, safety and capability of national permit aircraft within the General aviation community. As well as allowing such aircraft to cross Belgium territory it will encourage visits specifically to Belgium. We are looking forward to see more foreign aircraft visiting our airfields. During May 2017 more than 830.000 passengers flew on a Brussels Airlines aircraft. That is 18,9% more than in the same month last year. At that moment the company was still recovering from the terrorist attack at Brussels Airport. But, according to Brussels Airlines, this is not the only factor that explains this strong growth. The successful commercial strategy results in more passengers. The new route to Mumbai (India) is also doing ‘very well’ as well as the cargo-activities. SHS Aviation has reached an agreement to take over all remaining shares of Thomas Cook Airlines Belgium (TCAB). The company will also employ the remaining staff (40) and hopes to be able to use the AOC and Operating Licence of TCAB. SHS Aviation will operate under the VLM Airlines brand. Earlier this month VLM Airlines started operating charter flight under the newly acquired Slovenian AOC. Diamond Safety of Flight Award from the European Business Aviation Association (EBAA). This accolade is awarded to operators that surpass 100.000 hours of flying without any accident. Currently FlyingGroup operates and maintains 43 aircraft world-wide. "After having received the EBAA Gold Safety of Flight Award in 2014 we are very proud to now having been awarded with the EBAA Diamond Safety of Flight Award." says Bernard Van Milders, President & Founder of FLYINGGROUP. "This is currently the highest safety recognition awarded by EBAA and we are one of the first companies to receive it "
The Brussels Team of lowcost carrier Easyjet did a great job during 2016. They received the Spirit of Easyjet 2015 award and are honored on the nose of Airbus A.319 – HB-JYJ – that was recently noted at Geneva Airport. The Turkish company Pegasus has announced that they will start flying once a week between Brussels South Charleroi and Ankara on a direct flight.At present they fly into Istanbul . In February 2017, Brussels Airport welcomed over 1.5 million passengers, which is a decrease of 0.4% on February 2016, owing to the leap day. Without the leap day effect, the number of passengers would have shown an increase of 3%. Cargo transport at Brussels Airport rose by 7.7% compared with the same month last year, due to the strong growth in the full freighter segment. Ever since 2012 Brussels Airlines has a special relation with Tomorrowland. To mark this 5 year relationship, Brussels Airlines created Amare, the 4th Airbus in special livery. We wish Brussels Airlines a Happy 15th Birthday. Brussels Airlinews was created in 2002 in the aftermath of the Sabena bankcrupty in 2001. Over the last 15 years, nearly 79 million passengers used the Belgian airline: 70 million within Europe, 8 million on the African services and 1 million on the transatlantic routes. Antwerp based Vizion Air has signed an agreement with the Polish company SprintAir for cooperation. This agreement stipulates that SprintAir will reserve two of its aircraft (ATR72 and Saab340) for use by Vizion Air. The ATR72 is to be based at Liège, whilst the Saab 340 will have Bergamo as homebase. The agreement starts on Ferbuary 1st, 2017. Brussels Airlines is to wet-lease three Sukhoi SSJ-100 Superjets to replace its Avro RJ100's on services where smaller aircraft than the Airbus 320's are needed. The aircraft will be leased from CityJet. During 2016, more than 276.000 passengers passed through Antwerp Airport. This is an all time high. Last time we had over 270.000 passengers was back in 2001. All this means that there was an increase of 24% in passengers. Some 20.000 passengers flew via Antwerp in the aftermath of the Brussels attacks. The loss of VLM flights and charters played a negative part in the story. The Australian investment company Macquarie sold its shares in Brussels Airport to another Australian investor, QIC, the insurance company Swiss Life and the Dutch pension fund APG. According to some unofficial sources they paid about 2 billion Euros. The summer schedule will start on 31th March. From this date Brussels Airlines will operate two Airbus A.319’s leased from Czech Airlines. These aircraft will operate the scheduled flights to Boedapest, Praag and Toulouse. This lease will continue till the end of June. Belgium takes the 11th place in the annual biz-aircraft ranking published by BART International. According to this study a total of 104 aircraft is operated from Belgium. This number can be split into 59 bizjets and 45 turboprop aircraft. Leading European country is (again) Germany with 750 aircraft. Unsurprisingly the U.S.A. is the world’s number one country for biz-aircraft with an amazing 21.339 airframes. Air Belgium announces that they will not re-activate their flights to Hong Kong on March 31st, 2019. They will now focus on the mainland of China, starting this summer and the USA starting in Winter 2019. Ryanair announced that it will fly from Brussels South Charleroi Airport to Beziers Cap d’Agde in southern France from 2 april 2019. This service will be flown three times per week. Ryanair now offers flights to 12 destinations in France from Brussels South Charleroi. These are Bergerac, Biarritz, Bordeaux, Carcassonne, Figari, La Rochelle, Marseille, Nimes, Perpignan, Rodez and Toulouse. During the coming three years, TUI fly Belgium will lease four Airbus A.320’s from the Estonian carrier SmartLynx. Last year they already used three of their aircraft during the summer season. TUI Fly was pleased with the cooperation and will use an additional SmartLynx A.320. These aircraft can seat 180 passengers. Aerocircular, the company that dismantled the last VLM Fokker 50 at Antwerp, is to build a new hall at Ostend airport.After completion of the first fase (the construction of the concrete carrying surface), Aerocircular will construct a steel fabric structural hall of 4500 sqm where two narrow body aircraft can be placed at the same time and dismantled indoors. The goal is to dismantle 25 aircraft per year. ASL Group offers private and charter flights through Europe. Together with JetNetherlands, the group operates 30 aircraft ranging from 4 to 30 passengers. The group also owns a maintenance organisation based at Rotterdam and founded, very recently, an ATO training organisation. The group wants to expand its pilot training facilities (ab initio) and specific training focused on bizjet operations. In order to support his activity ASL group ordered two Sonaca 200 aircraft. With this order the company supports this Belgian designed new training aircraft. The operational and maintenance costs of the Sonaca 200 were also instrumental in this choice. The two aircraft will be ‘Sonaca 200 Trainer Pro’ aircraft fitted with Garmin G500 TXI – first delivery is planned for Oktober 2019. Air Portugal announced that it will start a twice daily service between Brussels Airport and Porto from 1 July 2019. The morning flight will leave at 11.10 hrs local time. The evening connection at 21.45 hrs. All flights will be operated with Embraer Emb.190 aircraft. Brussels Airlines reduces the number of bags on their flights to African destinations. Ecomony passagers can check in only one bag. Passengers who want to take more luggage with them, will have to buy a more expensive ticket. Tickets with one piece of luggage are for sale for 17 African destinations. Prices start at 385 euros. Brussels Airport handled a record 25.7 milj. passengers during 2018. That is 3.6 % more than in 2017. The number of long-haul destinations went up and this explains an important part of this result. The replacement of the Avro RJ.100 by the larger Airbus A.320 in the Brussels Airlines fleet realised the rise on European destinations. The number of passengers travelling from Brussels Airport went up with 4.3%. 18% of the total were transfert-passengers. The Belgium-based NHV group, which is specialized in B-to-B helicopter services and has a strong geographic presence in Europe and Western Africa, said that it has signed new contract with Ørsted to provide helicopter services in support of the Borssele 1+2 Offshore Wind farm. The oil and gas industry focused helicopter services provider said that the operations are expected to start in May 2020. Flights will depart from NHV’s base in Zeeland to the Borssele Wind Farm, located 23 kilometres from Westkapelle in front of the Dutch coast. NHV will support this project utilizing the H145 aircraft, the latest Airbus Helicopter 4-tonne-class twin-engine rotorcraft. With its high hoisting and hover performance and small footprint, the H145 can operate in performance class 1 conditions, while its compact airframe can manoeuvre in the confined environments of offshore wind farms. When built in 2020, the approximately 100 wind offshore wind turbines will supply renewable energy equivalent to the annual power consumption of one million Dutch households. Borssele 1 and 2 together comprise 128.3 km2 with a capacity of 752 MW. NHV’s base manager Bram De Backer commented: “We look forward to working with Ørsted and we are delighted to be part of this prestigious project. The strong relationships between Orsted and NHV have now resulted into a tailor made service that will guarantee the safe and timely realization of the Borssele project.” This contract also fits in NHV’s long-term strategy to broaden its range of services to the energy market and grow the renewables service alongside the oil and gas service. Last week a second Belgian Air Force Lockheed C.130H Hercules went out of service. The aircraft with tailnumber CH10 served the Belgian Air Force for over 40 years. Photo : The CH-10 at Antwerp airport on 12/06/1984, by Georges Van belleghem. On 21 December next, Brussels Airport will be reaching a new milestone in its history. As it happens, on that day 25 million passengers will have come through the airport since the first of January 2018. A new record that is proof of the success of our airport and of the fantastic work done by our staff and partners. A new milestone we wish to celebrate together with our passengers. Ex-VLM Fokker 50, OO-VLO, being broken up at Antwerp airport, has nearly come to its end. The aircraft is taken apart piece by piece. Some parts will go to Amapola Flyd as spares for their fleet of 20 Fokker 50's. The rest of the aircraft will be recycled by Aerocircular who is executing the job. Based on feedback from their readers, the American periodic Global Traveler has nomated Brussels Airlines as the world's best Trans-atlantic airline. Brussels Airlines is changing 7 of it's A330 long-haul aircraft. The first aircraft has left the fleet and the first two younger ones have already been taken in service. This is the biggest renewal project in the company's existence. It is also the first time that the company will exploit long-haul aircraft that are fully owned and not leased. On Sunday 18 November 2018 Avianca Cargo launched a new cargo service from Miami to Brussels. They mainly carry flowers on their Airbus A.330F aircraft. This service will be flown twice weekly on Friday and Sunday. Earlier this month Turkish Cargo started a regular service to Brussels Airport. This company also uses Airbus A.330 aircraft. BSCA announced an increase of 9% in passengers during October 2018 versus October 2017. In Summer 2019, TUI fly will start operating a service between Brussels South and Antalya. Belgian registered Hawker Hurricane is flying ! Brussels Airlines has announced that after 6/1/2019, they will no longer be serving Mombai as a destination. They will now invest more on their African network. This with 3 additional flights to Banjul (Gambia) and 3 non-stop flights to Dakar weekly. New services at Antwerp Airport? Flylanova ltd is a privately-owned, limited liability company based in Geneva and founded by aviation and finance professionals. The company is registered with the Geneva Commercial Registry since November 2017. According to their website www.flylanova.com they are planning twice daily services between Geneva and Antwerp. Return flights are priced at over 700eur. If and when this service will become operational in February 2019, remains to be seen. FormerVLM Airlines CEO Christian Heinzmann (65) died today at his home in Luxemburg, after a long illness. Heinman also worked for Constellation, Tarom, Sobelair, Albanian Airlines and Luxair. May 15th, 1993 saw the first VLM-service Antwerp-London City. All today's passengers received a special gift box with Belgian chocolates as a momento. 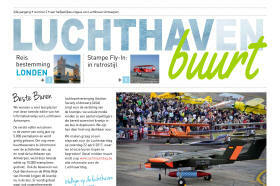 On Saturday 21 July an airshow will be organised over the coastline at Knokke-Heist. This free event will start at 18.00 hrs and will include the Breitling Jet Team flying their Aero L.39 Albatros jets and the iconic Boeing B.17 ‘Sally B’. Several aerobatic acts will also participate. VLM announced today that they will start three new routes out of Antwerp: Aberdeen (3x/weekly), Köln-Bonn and Rostock (5x/weekly) as from June 4th. VLM re-launched its Antwerp-Birmingham service, which will be flown every weekday. At the same time, the Antwerp-Munich scheduled was doubled to 2 times daily. A morning and an evening flight should make it possible for business men to go and return turn the same day, avoiding the necessity of a stay overnight. As from today the scheduled service between Antwerp and Southend will be relaunched by Stobart Air. The journey will be flown by ATR aircraft in Flybe colours. Air Belgiums at last obtained its AOC. First flights are planned for mid April. Tickets will be on sale in the next couple of days. According to the recent BART biz aviation fleet report, Belgium occupies the 10th place in Europe when we look at the number of business aircraft operated (jets as well as turboprops). Last year 102 airframes were operated and/or registered in Belgium according to this survey (62 jets and 40 turboprops). If we want to climb in this ranking we have to pass Portugal which took place 9 with 128 aircraft. Leader in this markt-segment is Germany with 726 aircraft !! The Estonian carrier Nordica will not start the Groningen to Brussels service that was announced some months ago. It seems that there is not enough interest for this connection. Today VLM launched its new Antwerp-München-Maribor service. At the moment there only is a morning flight. On March 26th, at the start of the summerseason, the service will be extended with an evening flight. This brings the total destinations out of Antwerp to three. Later in the season Birmingham and Manchester will also be added to the network. Next Monday Brussels Airlines CEO Bernard Gustin is called to frankfurt, newspapers and social media mention that this will be to end his contract. Bernard Gustin, whose turnaround of Brussels Airlines has been lauded internationally, and Lufthansa did not have the same views for several weeks. The Belgian boss wanted to maintain his successful “hybrid” model, while the Germans intend to integrate the European network of Brussels Airlines into their low‐cost subsidiary Eurowings while keeping the African flights operated by Brussels Airlines. By signing this PETITION you let Lufthansa know that you strongly disagree with their decision. Today 30th of January, Airports of Thailand and Liege Airport signed a Sistership Agreement between Liege Airport and Bangkok-Suvarnabhumi airport. This Sistership Agreement between both airports, major cargo players in Asia and Europe, is a pledge to exchange expertise and knowhow, with focus on cargo development. The signing ceremony took place at Asia Air Cargo Summit, where the international cargo community is gathering. The Sistership Agreement is a first step towards a close cooperation between all the airports to develop cargo flows. A special focus is given to the development of perishable facilities and processes, to seamlessly connect the Asean and the European market in both directions. VLM Airlines started today with its second destination out of Antwerp: Zurich. The flight was officially opened by the mayor of Antwerp Bart De Wever, in the company of the CEO's of Antwerp Airport and SHS Aviation/FlyVLM. Next destinations that will be added to the network are Birmingham, Munchen and Maribor. Starting February 12th, VLM Airlines will add three new destinations to its network. Birmingham, Maribor and München will be served 5 times a week (1 flight per day). The flight to Maribor is an extension of the München service. Tickets will be available from January 10th on at 59 eur/single trip. The construction of the new spotterplaces at Brussels airport will begin on January 8th. Weather permitting the works should end by the beginning of April. This means that the now popular spots at the Vliegbos and near the transit center will be hard to reach between January and April, making spotting at Brussels airport a difficult job. However the result will be great. So a little patience is at order. Liège Airport will be investing 50 millions in the cargo section. Four new parking lots for large aircraft will be created and some 20.000m² of additional cargo space will be created. Liège is expection a record breaking 2017 with over 700.000 Tonnes of goods passing through. A few hours after the funeral of VLM founder and aviation entrepreneur Freddy Van Gaever on 23th December, VLM Fokker 50 – OO-VLS – was noted with a new name on its nose at Antwerp Airport. This aircraft will fly, named Freddy van Gaever, as a tribute to their founder. Air Belgium has selected Brussels South Charleroi Airport as its base and willstart operating in March 2019. The board of Charleroi Airport still has to give green light for the operation. Sonaca is in the final test stage that must result in the certification of their Sonaca 200 light aircraft. The static and fatigue analysis is finished using a computing platform developed by Sonaca itself. 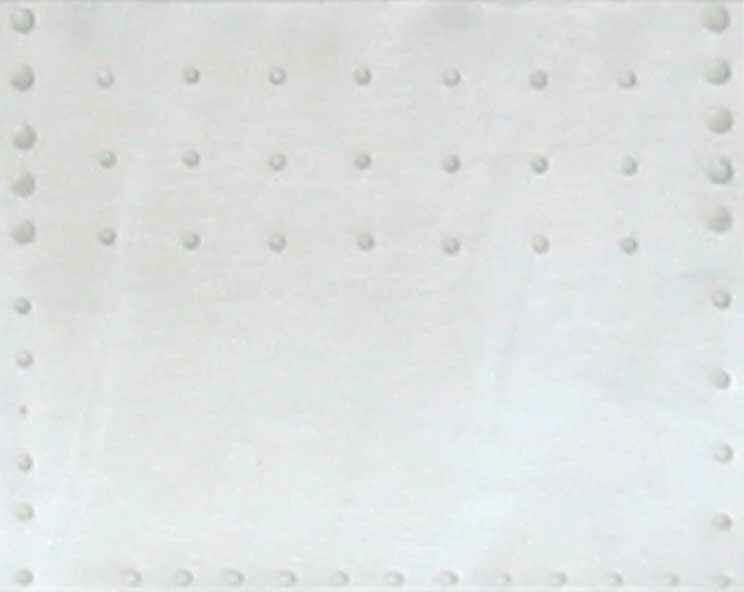 The prototype aircraft, OO-NEW, was used for the test-program. The final phase (spin tests) will begin very soon. Delivery of the first production aircraft is still scheduled for the beginning of 2018. A well known figure in the Belgian aviation scene, Freddy Van Gaever, has died at the age of 79. Freddy Van Gaever was the driving force behind Delta Air Transport and EAT and founder of Frevag, VG Airlines and VLM Airlines. In later years he was also parlementarian and senator. During November, Brussels Airlines saw its passengers grow with 94862 units or 15,6% more than compared with November 2016. Jaap van Mesdag, or Jaap Mesdag as he was called by most people, was very well known in the Belgian aviation scene. He was founder of the ‘Early Birds’, a Dutch group that restored and preserved several old-timer aircraft at Lelystad Airport. He visited most of the Belgian old-timer events with one or more aircraft for several years. Jaap was also involved in the maintenance and operation of the WW-I aircraft of the Stampe and Vertongen Museum at Antwerp Airport. Jaap died in October 2015, he was 93 years old. Now, the Netherlands Dachau Comité, published a book describing the life of Jaap. The book contains 152 pages and more than 130 photos. Benefits go to the Early Birds group. SHS Aviation announces that Harm Prins will leave the company and that Karl Rickard will take over as CEO. It is also announced that Christian Heinzmann will join the board of SHS Aviation. Starting in February 2018, The Belgian Air Force will support a UN mission in Mali. Two NH.90 helicopters will operate in this African country together with four Luftwaffe helicopters. These machines are already operational there at this moment. About 50 Belgian military personnel will support this mission. Belgian pilot jailed in the U.K.
65 year old, former Belgian Army helicopter pilot, Rudi S. was jailed in the UK recently. He seems to be involved in a drug running case. He is accused of dropping three plastic containers containing drugs from a light aircraft over a field in Kent last year. In 1994 the Robinson he was flying was hijacked in an attempt to free a prisoner from a Dutch jail. We understand he was now flying a fixed wing aircraft ! Fokker Technologies, a business of GKN Aerospace, awarded a contract to Asco Industries for the supply of Flaperon Spars for the Lockheed Martin F-35 Lightning II program. Asco will perform the manufacturing and integrated surface treatments on the spars at their corporate facility in Zaventem, Belgium. The F-35’s Flaperon Spars are highly complex titanium machined components, which form the core of the flap located at the trailing edge of the wing. The spars will be delivered to Fokker in the Netherlands who performs the assembly in composite material and delivers the complete flap to Lockheed Martin in Fort Worth, USA. Today, VLM Airlines received its long awaited Belgian AOC not only for the new Airbus A320's but also for its Fokker 50's. At present it is unknown why it took so long to issue this AOC. The Airbus's will be used for charter, ACMI and private flights. The first two flights have already been performed last week. We wish VLM lots of success in the future. Brussels Airlines is ready to return the very last Avro RJ.100 to the owner. Yesterday 29.10.17 the very last aircraft OO-DWD made some ‘farewell-flights’ from Brussels. Flight ‘B-line1187’ made a pass over Antwerp Airport. The withdrawal of this type means the end of an era for Brussels Airlines and its predecessor Delta Air Transport. Brussels airport is preparing the reception of Dutch travelers escaping the ‘vliegtax’ that will be introduced by the national government starting in 2021. Schiphol airport is reaching its operational limits. They even asked some cargo-airlines to leave. Brussels Airport can still grow and offers itself as an easy to reach and cheap alternative to Schiphol. The airport management hopes to attract travelers from Southern Holland. In order to win more visibility in Holland, Brussels Airport became sponsor of the Dutch Willem II footballteam. It has now been confirmed that Flybe will re-open its Antwerp-Southend service at the end of March 2018. The company will offer 4 flights per week on Monday, Wednesday, Friday and Sunday. Passengers will have the possibility to take connecting flights to Glasgow, Dublin and Manchester at Southend. Emirates announced that it will also transfer its freight flights from Schiphol to Brussels airport. Schiphol Airport reduced the access for some cargo-airlines. 37 weekly cargo-flights have to disappear in order to allow more passenger traffic. As a result Singapore Airlines announced that it will move all cargo-flights back to Brussels Airport from early November. Russian freight carrier AirBridgeCargo will move three weekly flights to Liège/Bierset Airport. In the future this airline may move up to 12 weekly flights from Amsterdam/Schiphol to this Belgian airport. ALSIM is pleased to announce the sale of an ALX (SEP/MEP/MJ) to BAFA (Ben Air Flight Academy). The new simulator will be equipped with LPV/PBN. Alsim bought back 2 simulators from the competition and replaced them with the ALX. BAFA chose the ALSIM simulator because they appreciated the flight models and flexible changes between the different aircraft configurations. The technologies in the aviation sector are continuously improving and the ALX offers the best opportunity to provide for up to date avionics, advanced training possibilities and is the best match to the existing aircraft fleet. Swissport and the unions take an engagement towards a better social climate. During the last year the workers of handling company Swissport went on strike several times. This resulted in very angry passengers and airlines. It also created a very negative view towards Brussels Airport. Today Swissport and the unions announced that they will start a project that will result in actions that will be positive for both the company and its workforce. Together they will analyse the different reasons that resulted in strikes and they implement, in close partnership, new solutions in order to avoid future actions. As a result not only Swissport and its employees but also Brussels Airport and its passengers will benefit from this cooperation. Permission has been granted to built spotters areas around Brussels Airport. Work will commence in the autumn of 2017 and should be ready at the end of the year or early 2018. Last Monday, 3 July 2017, kolonel BEM e.r. Jacques ‘Red’ Dewaelheyns passed away after a long illness. He was the first leader of the Red Devils, the Belgian Air Force aerobatic team. Initially the team flew on Hawker Hunter. After six years they changed to the Fouga Magister (1965 till 1977). Afterwards ‘Red’ Dewaelheyns was involved in several civil aviation projects including the Piper-dealership via NEAS in de late seventies – early eighties. Brussels Airport has launched the first phase of works to implement new technology for hold baggage screening. By the 1st of September 2022, every airport in the European Union must screen hold baggage according to Baggage Screening Standard 3. That is why Brussels Airport is investing 100 million Euros in the purchase of new screening devices and the construction of a new hall and infrastructure. On Monday 19.06.17 the prototype of the Sonaca 200 – OO-NEW – made its first flight from Charleroi Airport. This single engine two-seat aircraft is assembled by Sonaca. The flight test campaign will take four months. It starts in Belgium but will be pursued at Avignon in southern France. This must result in obtaining the EASA certification for this new Belgian designed aircraft. Hainan Airlines will start a Brussels to Shanghai service from 25 Oktober 2017. They will operate this service three times per week (Monday, Wedsnesday and Friday) using Boeing 878-9 aircraft. Shanghai will be the second destination that can be reached from Brussels. Hainan Airlines flies from Beijing to Brussels since 2006. Yangtze River Express left Brussels in february, Air Cargo Global has announced that it is stopping all their activities at Brussels due to the noise restrictions and applied fines. Magma Aviation has also indicated the same intentions if the sitaution is not clarrified in the coming weeks. We just received the news that our member August Van Laer has died unexpectedly on Thursday 16/02/2017 at the age of 69. We offer his family and friends our condolences. Blue skies mate. Het tweede nummer van de Antwerpse "Luchthavenbuurt Krant" is van de persen gerold en wordt momenteel door onze vrijwillegers verdeeld in de buurt rodom de luchthaven. Diegenen die buiten de verdeling vallen kunnen hier hun exemplaar downloaden. The drop-off zone is on the same level as the bus station and in walking distance of the terminal. To get there drivers should simply follow the "Drop-off" signage. For the comfort of the passengers, a covered walkway leads from the drop-off zone to the terminal.